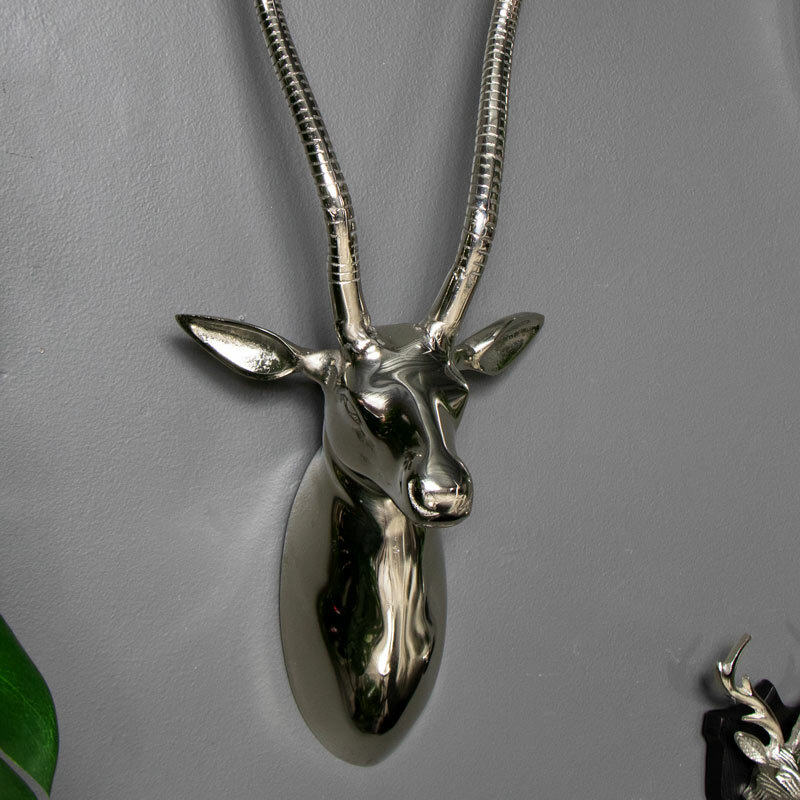 Bring some of Africa Savannah into your home with this antelope head. Finished in a rustic, brushed silver effect that will look impressive on any wall. Perfect wall art for displaying in the living room or hallway. Create an interesting focal point and make sure your decor has that something special. This antelope head features the curved, carved detailing that makes it seem realistic. The metal design gives a slightly industrial feel. This antelope head makes a great addition to our growing range of animal heads with many different animals in a great choice of colours and sizes. This comes with a single screw and wall plug and the head has a single hole in the rear making it easy and practical to hang this on the wall. 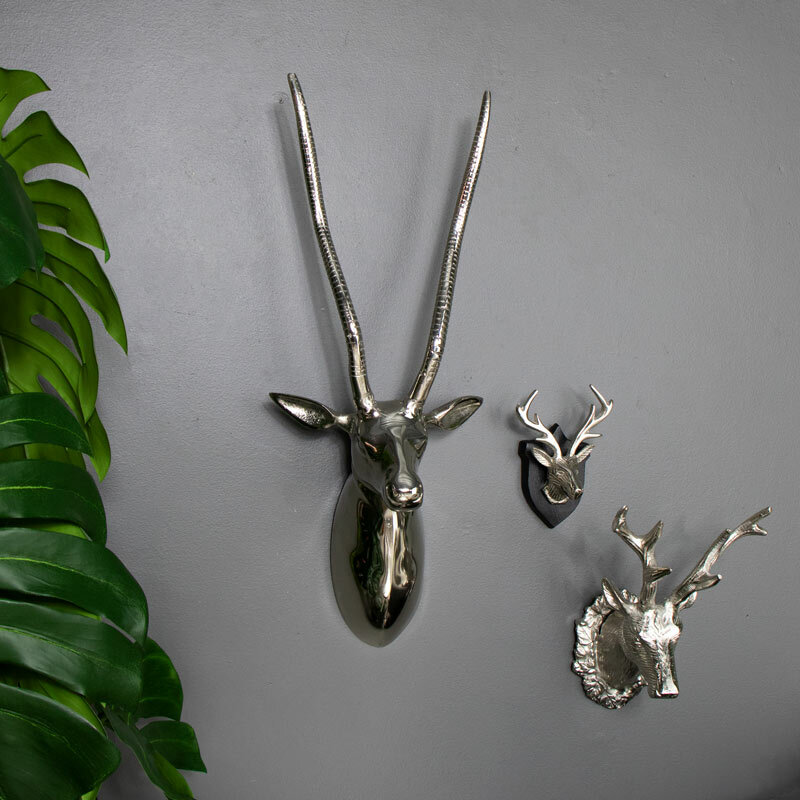 From Antelope heads, the buffalo and stags.. We have a wide range or animal type decor.